West Nashville with neighborhoods such as The Nations, Sylvan Park, and Charlotte Park has seen some recent changes. This area offers cottages with charm with a mix of newer row homes and modern homes. Very convenient at just 10-15 minutes from Downtown, West End, Vanderbilt, Music Row, Green Hills, plus an abundance of Greenways & Parks. The area is filled with local coffee shops, lots of restaurants and pubs and unique boutique and thrift shopping. Numerous grocery stores, Target, and the Nashville West Shopping Center are just down the street. This diverse community is the perfect location for creative/artistic buyers, professionals, families, and empty nesters. There is no better time than now to live in West Nashville! 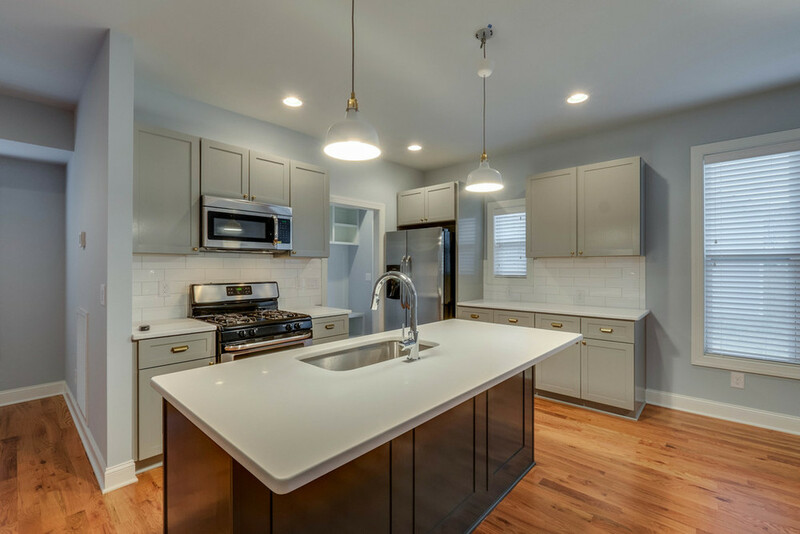 Our primary focus is cottage renovations and new construction in West Nashville neighborhoods such as The Nations, Sylvan Heights, Croleywood, and Charlotte Park. West Nashvile Living is managed by Mark Hayes. Mr. Hayes has been in real estate since 2002. He has renovated/built 100+ homes and oversees management of our rental properties. Mark has a Civil Engineering degree from Vanderbilt University. His engineering background is reflected in Mark’s attention to quality and detail. As an engineer, Mark brings an understanding of structural integrity, concept design, and construction management skills to his renovations. Experienced contractors and real estate professionals make up his business team and ensure a quality end product. And last but not least, Affordability! West Nashville Living hits the perfect price range for buyers desiring city living. With real estate prices rising fast we are building different size homes to accommodate a wide range of buyers. Our rentals range from $600 to $2400.mo. Mark started his first business in 6th grade selling blow pops on the school bus. He has been in real estate since 2002. He has renovated/built over 100 homes and manages over 40 rental units. Mark has a Civil Engineering degree. His engineering background is reflected in Mark’s attention to quality and detail. As an engineer, Mark brings an understanding of structural integrity, concept design, and construction management skills to the projects. “My passion is finding a design that fits the lot and block within the neighborhood. The end goal: Providing a nice home for someone. That is truly gratifying.” When Mark is not working, he is spending time with his wife and 4 kids and enjoys playing golf. Molly has several roles including office manager, bookkeeper, and property management tasks. She is a Chicago native and attended The Culver Academies followed by Boston University and MTSU, where she graduated with studies in Education and Administration. Molly landed in Nashville in 2002, and has since planted her roots in the mid-state. She then met her husband, with whom she has two sons, Dylan and Cale. She takes pride in all of her projects and tasks as well as keeps our office functioning appropriately while continuing to offer us great energy, support, and coordination in our projects and work flow. When Molly is not in the office, you might find her cheering for the Chicago Cubs, in the yoga studio, traveling with family, or volunteering at her sons' school. David Davelaar is a licensed General Contractor, and native Californian, who transplanted to Nashville in 1997. A natural born artist, he grew up in the music and entertainment industry and built his first treehouse at age 7. A graduate of the University of San Diego, he holds a degree in Mass Communications with a Business Minor. His artistic background gives him a unique perspective when building and remodeling homes. David not only possesses an uncommon vision for structure and design, but a meticulous attention to detail. This lends to the efficient function of his projects and the thoughtful touches, which his clients find so appealing. His objective is to create living spaces in which his clients feel instantly "at home". For the past 10 years, David has built his business and reputation solely on the basis of satisfied customer referrals. Alice is a native Nashvillian and has deep roots in the communities she serves. She was the 2011 President of the Greater Nashville Association of Realtors, and has served on Realtor committees at the local, state and national levels. She is a graduate of numerous industry leadership classes, and a recipient of the Nashville Emerging Leader Award. With over a decade of experience, Alice's knowledge and experience of the current real estate market and her business relationships with industry experts and community leaders gives her clients a distinctive advantage.